Medu Jewelry Antler Ring brand are a great gift for outdoor enthusiasts and are made from Genuine Deer Antlers. These amazing Antler Rings will be a great conversation piece. 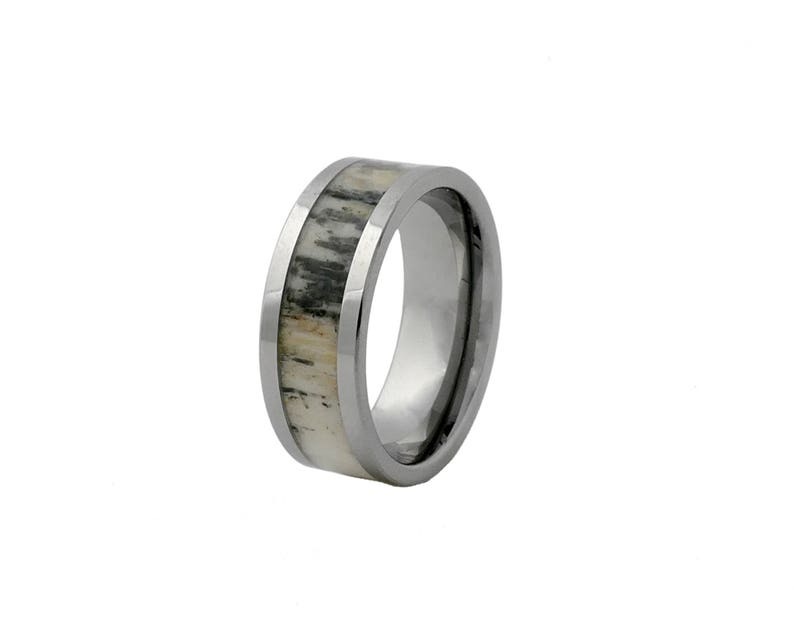 Every one of our Natural Antler Ring is one-of-a-kind, and differs in its shade, color and antler pattern, and there are no two Rings the Same. Meaning it may slightly differ from one in the picture. 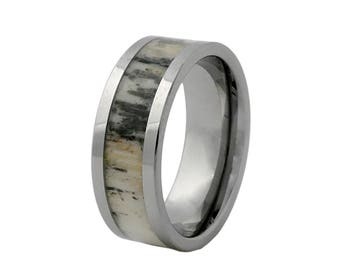 Why one-of-a-kind Antler Rings are so popular? Antler rings are dream come true for Hunters. Hunting is a sport and passion, which is why Antler ring makes a perfect surprise, or give for one self since Antlers is a trophy for many hunters. It is one-of-a-kind ring that tells about yourself, your passions, and great taste in jewelry before you start talking. 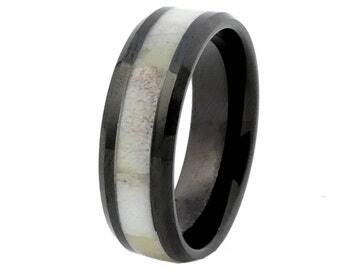 Tungsten Ring with Deer Antler Inlay.